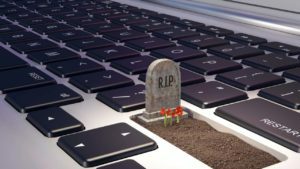 PDF is pretty much the standard in document exchange, but sometimes it's not the most suitable format for you. 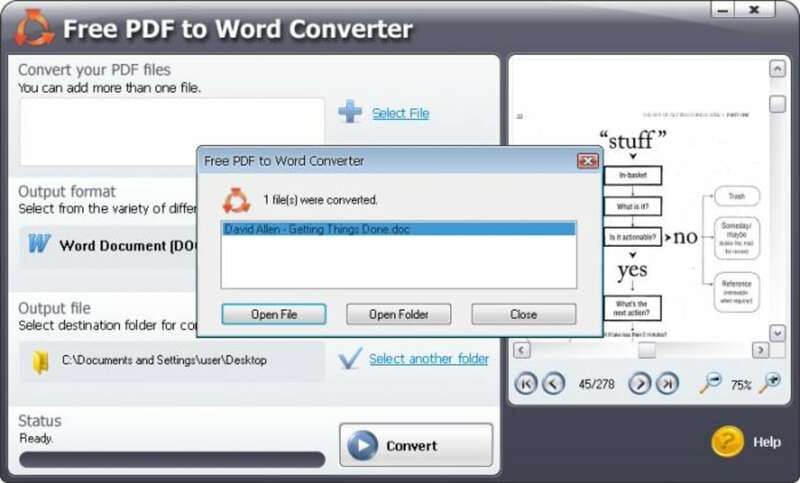 This is when you need a tool like SmartSoft Free PDF to Word Converter. 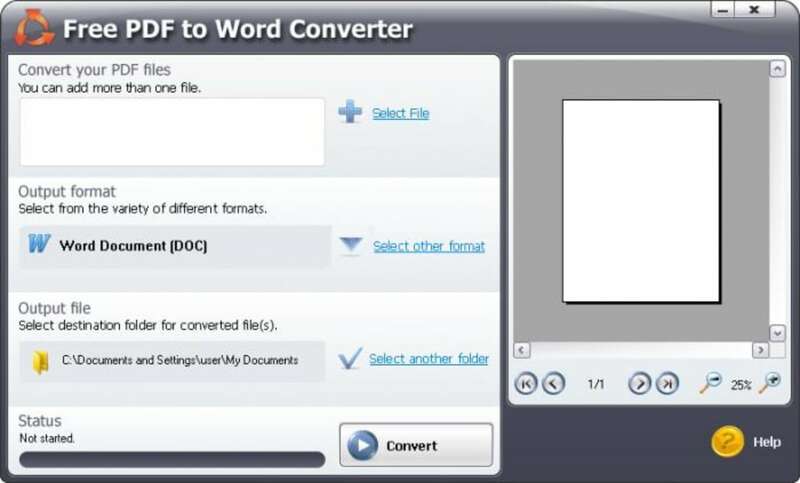 With SmartSoft Free PDF to Word Converter you can easily convert any PDF file to the Word format (DOC), which is easier for you to handle and edit. 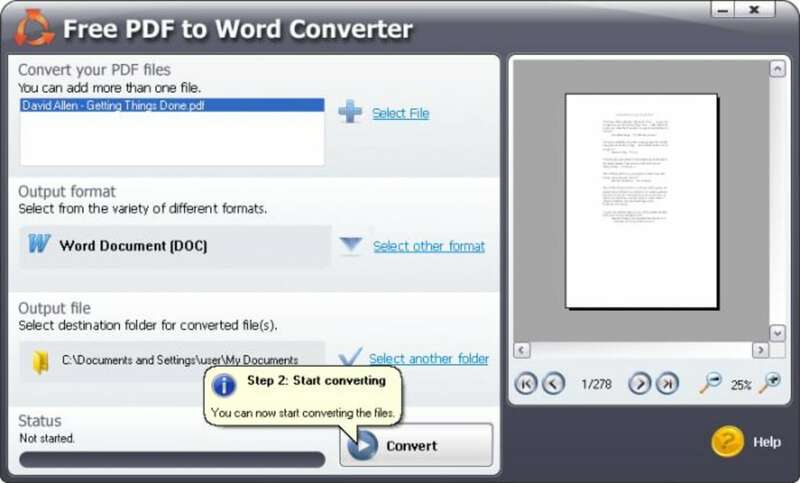 The conversion process is surprisingly quick, and the resulting document is an exact copy of the original PDF file. SmartSoft Free PDF to Word Converter features a small preview window where you can have a look at the document you're about to convert. According to the program's documentation, you can convert more than one file at the same time, but this feature didn't work for us. 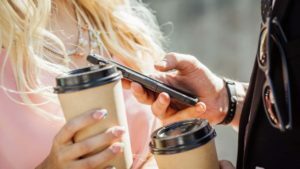 There are no other outstanding options and features, but with such an efficient, straightforward app you won't probably miss it. 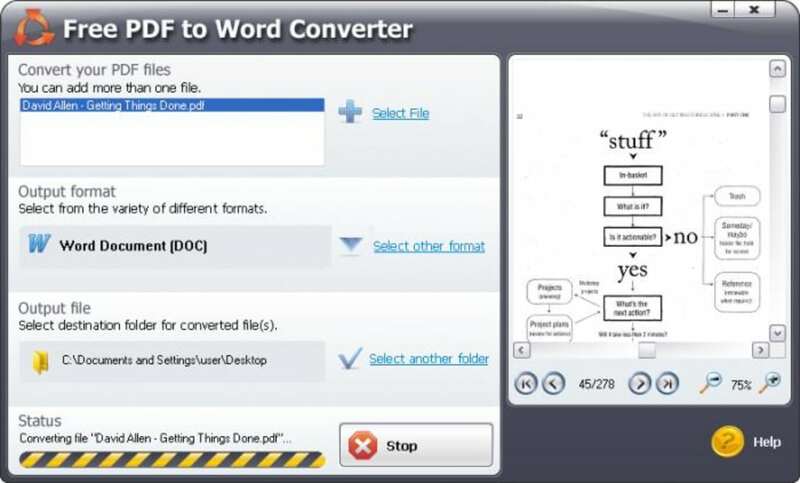 SmartSoft Free PDF to Word Converter lets you convert PDF documents to Word in a quick, easy way. 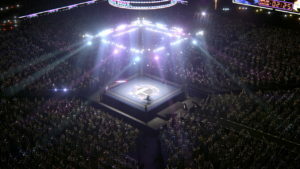 Is this program legit ?. This application appears to be a con. First of all, the &quot;free&quot; version works for 3 pages only. Ok, enough to determine you might buy it. 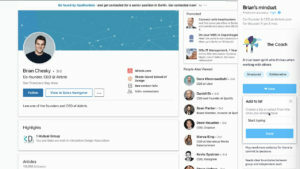 But the real kicker is that it seems to use the free-for-non-commercial-use &quot;doxillion&quot; convertor from nch ltd. Software. I presume &quot;doxillion&quot; should be hidden from view but on my windows 7 pc the gui opened on top of the smartsoft box. So basically you are paying for a wrapper on someone else's software. No sirve para Windows 7-64 BITS. Me venía instalado en Windows 7 64 bits, en propiedades el programa aparecía para Windows XP y no era compatible, lo he descargado de softonic, porque decía que era para Windows 7 y lo he tenido que desinstalar porque no funciona. Tienen Vds. error de información. les agradecería que lo tuviesen en cuenta en todos los programas, para no hacernos perder tanto tiempo. Gracias. excellent. Excellent. Work just fine, deals perfect with lines and squares. Accurate and simple to use, few resources needed. Just what I was looking for. What the heck just happened?. I guess it doesn't work on Windows XP or with Word 2003. 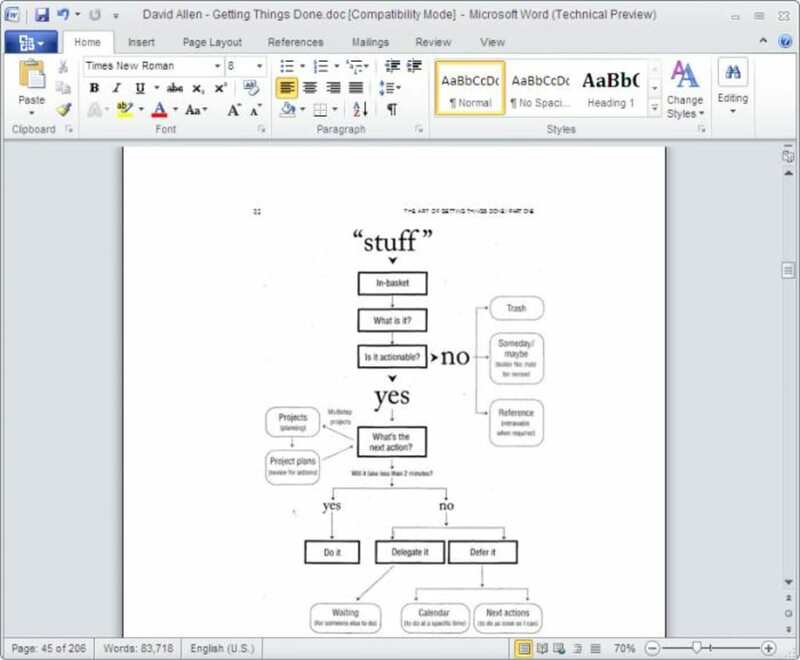 Formatting goes all over the place, some fields don't get filled in while others are half-filled (and that content goes somewhere else), and one page gets spread into one and a half or so. Easy to use the interface and helpful pop-up tips.